Federal Sunshine Act Defense Attorneys - Oberheiden, P.C. What Are the Reporting Requirements under the Sunshine Act? The Sunshine Act requires applicable manufacturers to report payments or other transfers of value to physicians or teaching hospitals, as well as ownership and investment interests held in the company by physicians and their immediate family members. See 42 U.S.C. § 1320a-7h. The key to understanding the requirements under the Sunshine Act is to understand the complex definitions that may trigger reporting obligations. In the absence of court guidance, much interpretation of the federal Sunshine Act remains open to interpretation. 1. Who is an Applicable Manufacturer? The Sunshine Act applies to “applicable manufacturers,” which the law defines in two ways: first, as any entity which is engaged in the production, preparation, propagation, compounding, or conversion of a covered drug, device, biological, or medical supply, and which is operating in the United States, or in a territory, possession, or commonwealth of the United States, including distributors or wholesalers that hold title to a covered product, and second, any entity under common ownership with an entity described above, which provides assistance or support to such entity with respect to the production, preparation, propagation, compounding, conversion, marketing, promotion, sale, or distribution of a covered drug, device, biological, or medical supply, and which is operating in the United States, or in a territory, possession, or commonwealth of the United States. See 42 U.S.C. § 1320a-7h (e)(2),(e)(9). 2. What Are Covered Devices? A “covered device” is any device or medical supply for which payment is available under Medicare, Medicaid, or Children’s Health Insurance Program (“CHIP”); and requires FDA premarket approval or premarket notification. See 42 U.S.C. § 1320a-7h(e)(4); 78 Fed. Reg. 9465. 3. What Defines Common Ownership? In this context, common ownership is defined as circumstances where the same individual(s) or entity(ies) owns five percent or more of total ownership in two or more entities. See 78 Fed. Reg. 9463. The caveat with that definition is that entities that are under common ownership are only subject to reporting requirements when they provide “assistance or support” for the manufacturing activities. “Assistance or support” is defined as being necessary or integral to the production, preparation, propagation, compounding, conversion, marketing, promotion, sale, or distribution of a covered product. To constitute “assistance and support” it is necessary that the activities directly and not just tangentially impact the manufacturing process. See 78 Fed. Reg. 9463-64. Payments made indirectly to a covered recipient through a third party when the applicable manufacturer is unaware of the identity of the physician are excluded from the Sunshine Act reporting requirements. See 42 U.S.C. § 1320a-7h(e)(10), 78 Fed.Reg. 9489. The applicable manufacturer must be unaware of the identity of the physician during the reporting year and the second quarter of the subsequent year following the transfer of the payment from the third party to the physician. See 78 Fed.Reg. 9491. Does the Sunshine Act only apply to federally funded services and items? As seen, in order for the Sunshine Act to apply, an entity must qualify as an “applicable manufacturer,” meaning it operates in “covered devices.” Application of the Sunshine Act depends on whether payment is “available” under one of the government programs, such as Medicare, Medicaid, or CHIP. While the Sunshine Act itself provides very little guidance on the interpretation of the term “available,” reference to other prominent federal healthcare laws may assist in determining the appropriate interpretation. The Ethics in Patient Referrals Act (commonly referred to as “Stark”), for example, applies to individuals and entities that received or qualify to receive federal funds. See 42 U.S.C. § 1395nn(a)(1). And the federal Anti-Kickback Statute uses similar terminology (“any item or service for which payment may be made in whole or in part under a Federal health care program”) and only applies to services and items that were provided to patients under a federal healthcare program. See 42 U.S.C. § 1320a-7b(b). At least in the context of the federal Anti-Kickback Statute, the Office of Inspector General has clarified in OIG Advisory Opinion No. 11-085 (June 14, 2011) that even though the federal Anti-Kickback Statute is meant to apply only to federally funded programs, enforcement under the federal Anti-Kickback Statute of arrangements that do not include federally funded patients is nonetheless justified if and when the arrangement attempts to circumvent the federal Anti-Kickback Statute by way of bundling non-federal and federal patients or otherwise disguising the true nature of the arrangement. For purposes of the Sunshine Act, these parallel impressions from Stark Law and Anti-Kickback Statute may impact future law enforcement interpretations and may, under certain circumstances, subject non-federally funded program entities to the scope of the Sunshine Act. As seen, the Sunshine Act is a complex and yet untested law that may subject entities and physicians to rigorous reporting requirements and public disclosures of financial information. The experienced attorneys of Oberheiden, P.C. 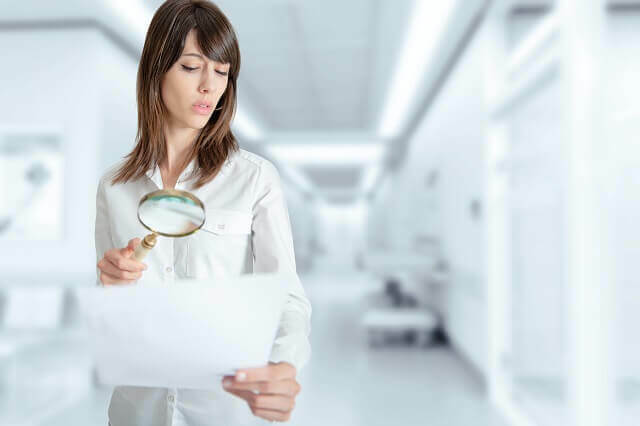 are familiar with the Sunshine Act and have advised entities, business owners, physicians, and other healthcare professionals on their respective reporting obligations. If you have any questions, please contact us for a free and confidential consultation.